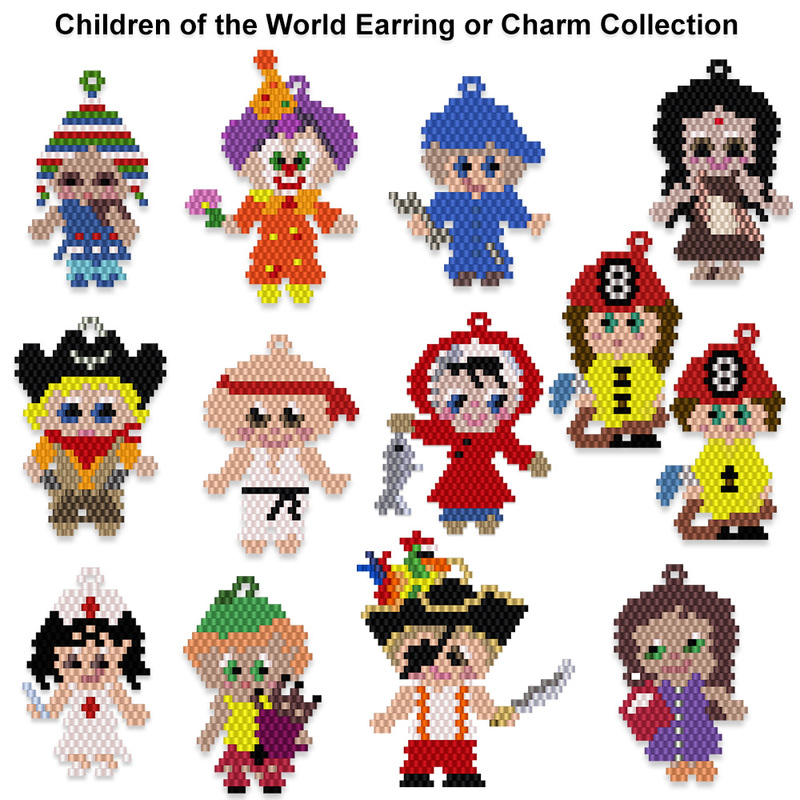 There are 12 designs for the "Children of the World" Collection. These cuties are fun little projects that can be made using any size of seed bead or Delica, in brick or peyote stitch. The can be made into Earrings, charms, pendants, ornaments, etc. I am making for a mobile for my first great-grand baby! I hope you enjoy the figures of this series! Word Charts are NOT included.